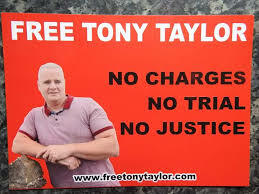 In the case of Tony Taylor who has now been in Jail for nearly 2 years, no acceptable reason has been forthcoming, citing a generic “risk to security” is not a reason, it is an assumption and not a fact, it is not a strong enough assumption to take away someone’s liberty. The same goes for Gabriel Mackle released from Jail only a matter of weeks and thrown back in Jail, once again a mantra of being a “security risk” is all we know. Having secret reasons given by a secret police in order to deprive someone of their liberty is the stuff of tyrannical despotic states that we are all allegedly supposed to oppose. The fact that it is the so-called civilized brits, which are doing this, means no one bats an eyelid. 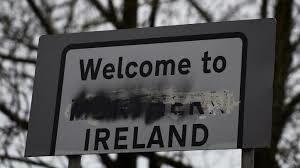 The Republican people of Ireland know only too well there is nothing civilized about how the Brits have treated the general people of this Country, never mind Republicans. The most shocking of these 3 cases though it has to be said is that of Neil Hegarty, Neil was released from Jail only on Tuesday (5th December) after serving a 5-year sentence; Neil was welcomed home by his family and friends and was undoubtedly looking forward to reconnecting. With Christmas only a matter of weeks away, his friends and family were elated about having him back at home, the first time in 5 years they would socialise together, enjoy a meal and have quality time with their loved one. 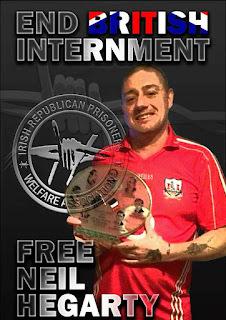 Last night (6th December), just over 24 hours since his release the Police arrived at Neil’s door, told him his licence had been revoked and carted him off. Now come on! What could he possibly have done in just over 24 hours to warrant this, how did this happen so speedily? Who approved this and what is the end game here? 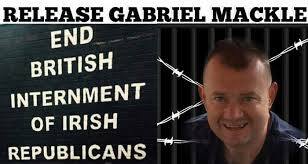 This is a shocking turn of events, even to Republicans who have come to expect almost anything from the British establishment here in Ireland. 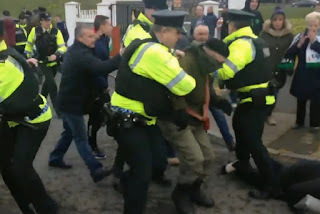 These “licence revocations” cross all Republican groups, these 3 men all come from separate organisations, each group has come out and condemned respectively their member's incarceration. There is a harsh reality that has to be said, now is not the time for partisan politics and outlook, now is the time to be united in our rage, united in our opposition. We cannot just care for those who politically swing with us! 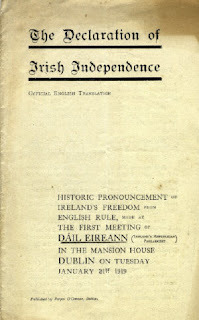 We are all Irish Republicans and we have a duty to support all 3 men and anyone that may follow. These revocations are extremely political in nature, however, this is not just a Republican issue this is a human rights issue. It is cruel and degrading to release someone from Jail and have them unsure of their own liberty, have them living in fear every day of being arrested and thrown back in Jail. Some of the conditions that Republicans have been released under are quite simply bizarre. The issue of not allowing a prisoner to return to their home or boundaries is internal exile; it is designed to demoralise them and alienate them from their own community.Today I am angry, angry for Tony Taylor, Gabriel Mackle and Neil Hegarty, I am angry for their families and friends, angry at the sheer injustice of it all. Please do not let this trend continue unopposed, there is a danger here that the more this continues, the more we become desensitised to it. It is time now for us ALL to speak out and for everyone single one of these men. There can be no hierarchy when it comes to prisoners, human rights or liberty. I support all 3 of these men and I implore my readers to do the same.